J&K Custom Homes is proud to be a luxury new home builder in the Cincinnati area for more than a decade. We believe that you should have the ability to choose features for your dream home that make it uniquely yours. So we give you guidance and help you through the selection process by partnering with high-quality suppliers that carry and install products that meets your vision and needs. All of our contractors are licensed and accredited. You can be confident that every person involved in building your home meets the J&K Custom Homes standards. We’re a team of expert creative problem solvers who bring new ideas to life through custom home building expertise and collaboration for every new home. We help each of our homeowners experience the satisfaction of seeing their vision come to life. That’s why we push ourselves to explore new possibilities and generate customized solutions. This resourceful approach to how we work allows us to find solutions others can’t. We set out to make building a dream home a process to enjoy. Our story began when Michelle and her husband built a custom home for her family and recognized a need and opportunity to make the custom building process better for homeowners. Jim McVicker, Michelle’s father, saw the same opportunity. After several discussions, they decided to set out on the journey together. From there, J&K was born (J&K stands for Jim and Kathleen “Michelle”). After retiring from over 30 years in the executive corporate finance arena at a Fortune 500 company, Jim has applied his expertise to the management and operational standards of the company we see today. Michelle has extensive knowledge of the design and construction process and as someone who built her own home, knows how to make the many decisions along the way. Michelle uses her financial and accounting as well as her consulting and project management background to guide new homeowners through the process, on-time and within budget. 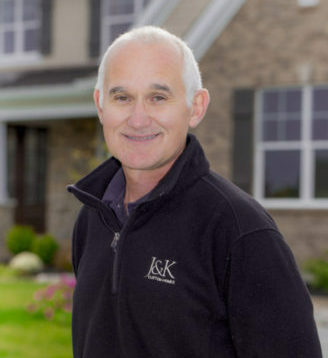 John has over 20 years of experience in residential construction and remodeling. John takes the company’s philosophy of “doing it the right way” into the field and throughout the construction of every home. He coordinates scheduling and oversees all for J&K projects from start to finish. 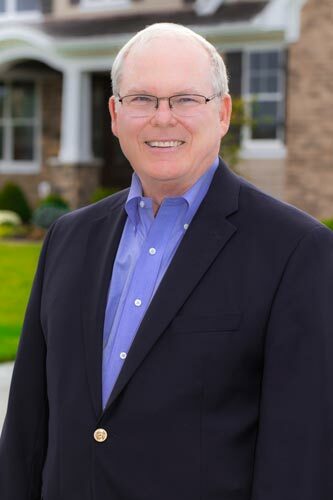 Ken Bowerman and Darren Myers – Kenneth R. Bowerman, Architect, Inc.
Ken is a licensed architect and has provided custom residential architectural services for many years now, including many award-winning homes in the Cincinnati Home Builder’s Homearama. Ken brings your ideas and dreams to paper. Kim and her team are known throughout the Cincinnati area for their talent and vision in design services. 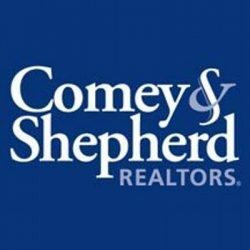 They are dedicated to helping you make selections for your dream home that are uniquely you; inspired by what you love and how you live. 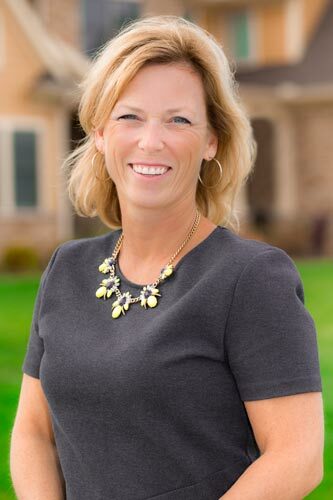 Sandra is one of the leading Ohio sales agents with over a decade of experience in Cincinnati. Sandra provides guidance for homeowners by helping find the perfect lot, selling existing homes and finding temporary housing if needed during the transition.